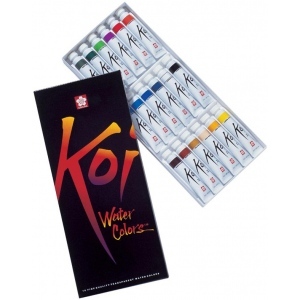 The fine artist the professional and the student enjoy the smooth creamy subtle gradations of Koi watercolors. * Enjoy the versatility of instant correction and layering create spontaneous washes with soft edges and swim in dynamic color possibilities. 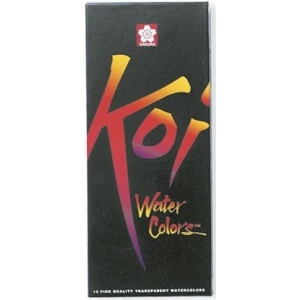 * These specially selected pigments are instantly water responsive. * Use for landscapes still life portraits etc. Quick drying vibrant colors. * Meets ASTM and ACMI non-toxicity standards.